CHICAGO (WLS) -- Some Chicago aldermen want Mayor Rahm Emanuel to extend property tax relief to renters. Under the mayor's plan, a maximum rebate of $200 would be allowed for homeowners only if their total household income is below $75,000. 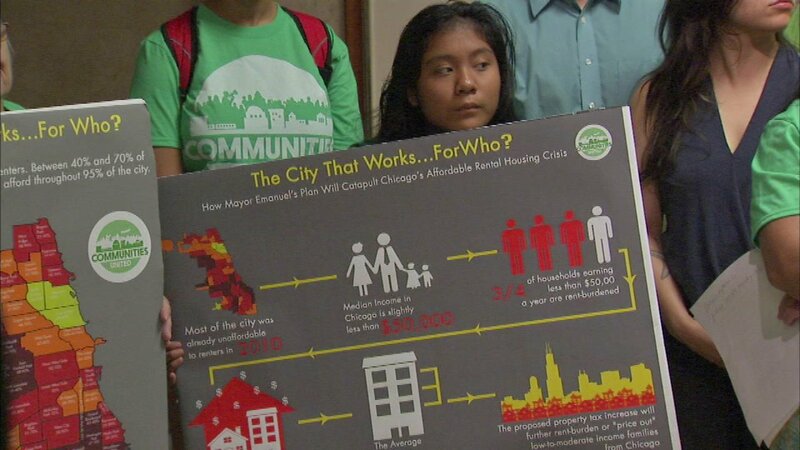 But some aldermen say that proposal doesn't help low-income families or those who rent. "We need to continue to work toward property tax relief that recognizes that half of Chicagoans are rent-distressed - they pay more than they should on their rent. We have to recognize that communities across the city have seen record increases on their rent. And with wages stagnant, that means that working people who rent are put into a very difficult situation," said Ald. Carlos Ramirez-Rosa, 35th Ward. The proposal will be considered by the finance committee on Tuesday.